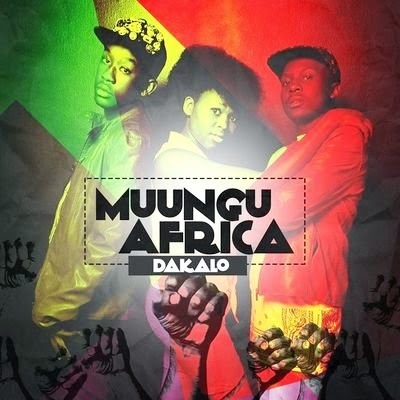 GoXtra News: Dakalo: Muungu Africa Has a Sizzling Debut Album To Lookout For! Dakalo: Muungu Africa Has a Sizzling Debut Album To Lookout For! Out of the rhythmic fusion of Thulasizwe Nkosi, Sindiswa Shobede and Bongani Shabangu's vocals, came to life a vibrant and youthful, talented trio that is Muungu Africa, emerging from Soshanguve in Tshwane, yet already seen themselves going places as far as reaching Brazil, Angola and Portugal to name a few. Having released their debut album titled 'Dakalo' (which means 'Happiness' in TshiVenda) under Open-Mic Productions. The album comprises of a variety of hitting house jams that are of impeccable production, the balanced and detailed interaction between a variety of instruments and vocals of the trio are articulated incredibly well on hits such as Mawududuzeke, Uthando and Pula which are sure not going to be putting anyone to sleep, definite club bangers of note! The amazing tribal fusion of sound elements representing the African continent is evident on features they did with the Angolan Mussurys and Dicklas individually. It's amazing how they even went international and got Marissa Guzman from USA collaborate on making Better Days, a jazzy and soothing house tune with meaning most will find themselves relating to. Not forgetting their collaboration with Winnie Khumalo which gave us Uthand'olu njani, a hit wedding song most will be jamming and stepping to come wedding season. One could however mistake them for Uhuru as their edgy sounds are almost uniquely relative. The quality of the music they make is one that fills the environment of the listeners with an energetic and lively ambience. Every hit has that sing-along effect that would even have uGogo turning on her hearing aid and everyone in a club on the dance floor. This is a commercially attractive album that is worth every hard-earned penny in one's pockets. I look forward to seeing them perform live, and see them bring to life the melodious fusion of instruments such as the melodious saxophone and rhythmic sounds of the marimba with their raw vocals.